New publishing imprint Magnetic Press have now released their first 2 books: Super Ego, and Naja, and are pressing ahead with the announcement of further rights acquisitions. 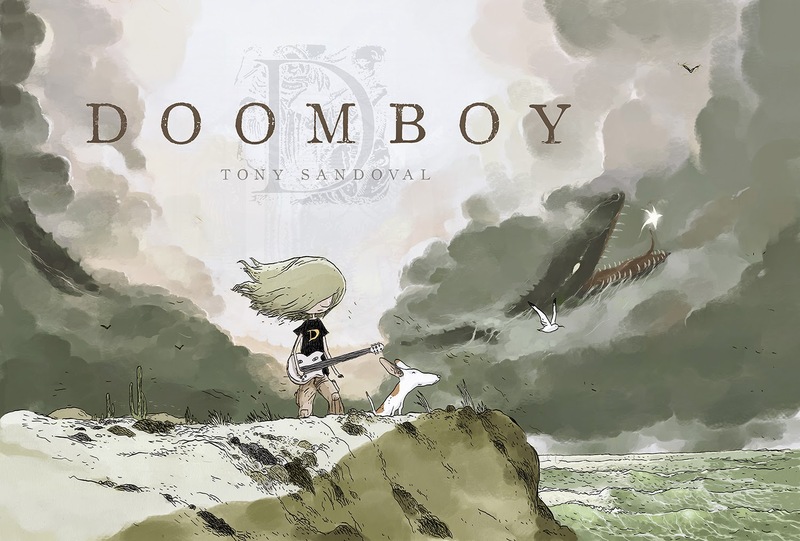 The one that seems to have piqued a few people's interests -including mine- is Doomboy by Mexican artist and writer Tony Sandoval, releasing in hardback this September. 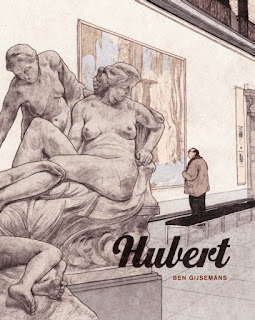 Chosen as part of the Official Selection at Angouleme in 2012, it went on win the youth jury prize, and has since been translated into several languages worldwide, although this will mark the first time it will be published in English. The story sounds nicely bittersweet and poignant: a young teenage boy, a bit of a loner in possession of a love of metal music and a very active imagination, is left bereft when his girlfriend dies suddenly. As a means of coping, he begins to broadcast songs to her beyond the grave, playing his heart out on his guitar, under the nom de plume 'Doomboy.' Unbeknowst to him, however, the broadcasts are being picked up all across town… and beyond, with the legend of Doomboy spreading like quickfire, and turning his simple life upside down. I like the sound of the book- and I'm keen to see where it goes, but I like the look of it even more; Sandovals' watercolours, lines and style here remind me of Boulet in more subdued form, really wonderful. It's really good to see Magnetic continue to pick up these titles and bring them to wider attention, and I hope people will look into them- it's been nice to see this announcement picked up by a number of bigger comics sites and one would hope all the press translates into a portion of sales of some kind. More preview pages under the cut.